July | 2014 | Mothers Against Wind Turbines Inc.
Oxford MPP Ernie Hardeman is calling on the minister of energy to make wind farm proposal processes more transparent to the public and specifically provide information requested about the local Gunn’s Hill wind farm proposal. “Firstly, I would like to reiterate my position that it is unacceptable that approvals such as this one do not require municipal approval and public consent. In addition, applications can be changed without public involvement, as has happened with the Prowind application,” Hardeman wrote in the letter addressed to Bob Chiarelli, minister of energy. Hardeman also requested the minister explain why his office has not provided information on the grid connection change proposal, and provided concerns that his constituents are now engaged in costly and lengthy Freedom of Information requests. Arline L. Bronzaft, PhD is a Professor Emerita of Lehman College, City University of New York. Declaration of Conflicting Interests: The author declared no potential conflicts of interest with respect to the research, authorship, and/or publication of this article. Research linking loud sounds to hearing loss in youngsters is now widespread, resulting in the issuance of warnings to protect children’s hearing. However, studies attesting to the adverse effects of intrusive sounds and noise on children’s overall mental and physical health and well-being have not received similar attention. This, despite the fact that many studies have demonstrated that intrusive noises such as those from passing road traffic, nearby rail systems, and overhead aircraft can adversely affect children’s cardiovascular system, memory, language development and learning acquisition. While some schools in the United States have received funds to abate intrusive aircraft noise, for example, many schools still expose children to noises from passing traffic and overhead aircraft. Discussion focuses on the harmful effects of noise on children, what has to be done to remedy the situation, and the need for action to lessen the impacts of noise from all sources. Furthermore, based on our knowledge of the harmful effects of noise on children’s health and the growing body of evidence to suggest the potential harmful effects of industrial wind turbine noise, it is strongly urged that further studies be conducted on the impacts of industrial wind turbines on their health, as well as the health of their parents, before forging ahead in siting industrial wind turbines. Summer is yard sale season in Canada. This past Saturday was no different and a large and well attended yard sale was held. Many groups will spend countless volunteer hours working hard as a collective in a variety of fundraising activities to support their interests and communities. The recent sale in West Lincoln, Ontario was put on by a determined and dedicated group and was a resounding success by any measure. Mothers Against Wind Turbines Inc. is a group of mothers, fathers, grandparents who have come together to face off against the imposition of power generation plants powered by the wind in their communities against their consent. Wind power has branded itself as green energy and anyone who points out it failings, is called out as selfish and uninformed to its touted higher purposes of saving the world. The wind industry tries hard to uphold the facade of being superior to other forms of electrical power generation. 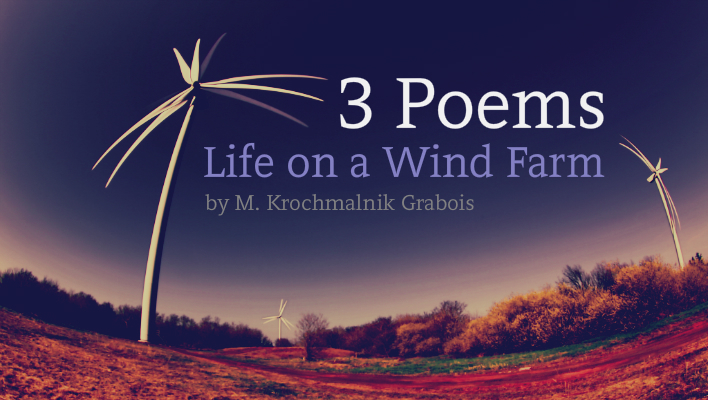 It has no faults or failings because its fuel is harvested from the wind that blows across the land. The wind industry in Ontario still drives the political favour of the current elected government. In communities who haven’t actually had to live with the wind projects, it is a wonderful feel- good thing to impose on someone else. We really are mothers. The members of this group are the very individuals found in any community and our family compositions on close inspection are just as diverse as any other population group. Many of our membership and indeed an overwhelming number have children or close family members with Developmental Delays, Autism and other congenital or acquired challenges no one would wish for, or choose for any child. Indeed if such a choice was to be had. The testimony of the “first generation of wind impacted” residents is of an urgent concern for parents of children who face daily challenges beyond the ordinary. 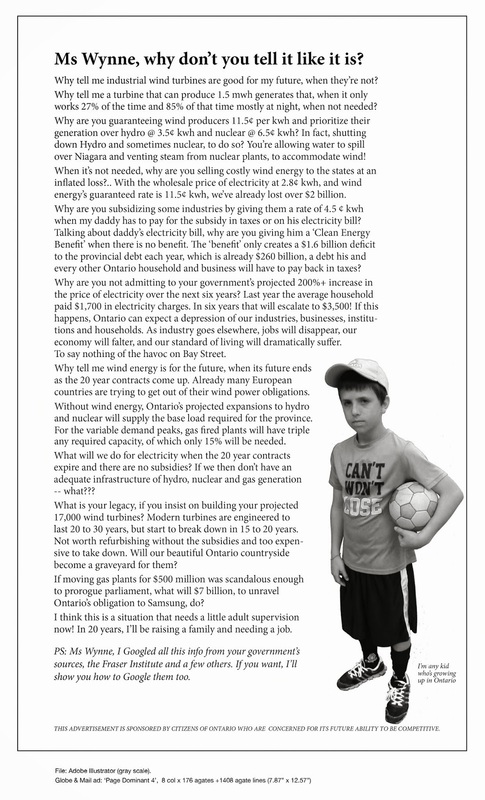 The stories of Ontario residents who have been harmed by wind turbine emissions are emotional, heart wrenching and speak of abuse of power and neglect from the various bodies that should be acting in precaution and protection of health. Governmental entities play political rugby with these lives by means of deflection and finger pointing that is currently at a fevered pitch as even more turbine towers are being raised. Reported impacts from wind turbines reported range from minor nuisances to severe health effects. When someone is forced from their home and the only condition in their living environment that has changed is the operations of wind turbines, something is wrong, very very wrong. When you are a mother of a child who is special needs, these reported experiences make your blood run cold and raise the protective mother bear alarms and compels you to protect your child. Advocating for your child’s needs that are a necessity for life and are required for them to grow , be healthy and happy has become a hard learned lesson and an acquired skill. This drives many of us on a day to day basis. Simple things like a good night’s sleep are never taken for granted. Its absence will impact behaviors and health. Sleep disturbances, headaches, ear pain and pressure, heighten anxiety to the point of intolerance are among the universally reported adverse health effects from living in proximity to wind power plants. Mothers, parents will fight for what is right and what is protective and in the best interests for their child. Wind projects have so many issues that are swept aside by those who never have to gaze upon them from every window of their home. It is clear if you are living near wind turbines or are suffering with health effects from the operation or emissions of these machines your voice is to be muted and disregarded. You are a necessary sacrifice that must be paid for Renewable “Clean” Energy. Industrial Wind Turbines are also exempt from many other reasonable or common sense engineering, land use and planning considerations. Legislations and regulations revoked under the Green Energy Act that puts creating a green energy economy ahead of all other concerns. Money costs trumps health and safety. Cancelling granted contracts or paying to evacuate families seeking remedies are too costly for Ontario, as demonstrated in the replies given in response to recent questions raised in Queens Park. Creating a failing of valid authority of consent that has been taken and crafted by the very same hands of Government who should be protective of the most vulnerable members of our society. The real danger of these projects lies in the insidious erosions of rights that are to be held for all us, as equals in the Canadian Charter of Rights and in the United Nations Declaration of Rights of the Child. Who has decided my child does not deserve the same protections? A yard sale held by smart, strong, capable mothers. We are a force to be reckoned with. Mother Against Wind Turbines Inc.
…There are major question over the installation of commercial wind turbines in twenty one Massachusetts communities…. All three defendants in the Massachusetts Probation Corruption Trial have been found guilty. The three people were found guilty of federal racketeering, racketeering conspiracy and mail fraud. This is the first of two trials. If any of the defendants are found guilty in the first trial then a second larger trial takes place. The second trial will become the largest historic corruption trial in Massachusetts history. Many Residents in West Lincoln Received the following letter. The proponent (Rankin) is required to send notice to everyone they can find. Now take a breathe and don’t choke on your coffee…. Kids are curious about many things, which is great unless you are at a loss about how to explain a concept. In order to be a successful teacher, you have to explain things in simple and easily understandable terms. You also have to make it interesting in order to capture a child’s interest and keep him or her from being bored. If you have a child interested in wind farms, follow some easy steps to explain what they are and how they are used in the world. Explain about how wind is energy and that it can be harnessed to provide energy to electrical things that need energy to work. Tell the children that wind is a renewable resource, which means that it does not run out. The wind will continue to blow no matter what happens with resources such as oil and gas that will eventually be used up. 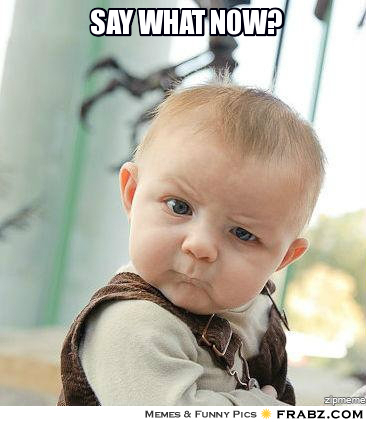 Explain that a wind farm is a group of windmills placed throughout a geographic area. Instead of growing something, such as corn, a wind farm harnesses and produces electricity. A wind farm is also known as a wind power plant. Wind farms consist of anywhere from two to hundreds of windmills. Show the children a picture of a windmill and explain that the wind pushes the blades, which in turn spins a shaft that is connected to a generator which produces electricity. The generator connects to power lines where the electricity is sent to homes and businesses. “MOTHER” of all Yard Sales July 26. MAWT would like to thank Everyone who has stopped by one of the drop locations with items for the sale. We have collected an over whelming amount of gently used, hardly used and new items for the sale, a lot of everything!! The show of community support is very encouraging. Thank YOU!! Donations will continue to be accepted July 24. Friday will be spent sorting, organizing and preparing for the Saturday 8am start of the Yard Sale. You’re not going to want to miss the “MOTHER” of all Yard Sales this Summer. See you Saturday!! Germany today likes to boast a total of 36,000 megawatts of installed photovoltaic capacity and over 30,000 MW capacity of wind power. Theoretically at noon on a sunny, windy day Germany could cover almost all of its electric power demand, which at noon on a workday is roughly 70,000 megwatts. But anyone familiar with Germany’s climate knows the country’s weather is often gray and sees about as much sunshine as Alaska does. Germany has a fair amount of windy days, but periods of windless days are also frequent enough. They can’t be avoided and must be reckoned with. In a nutshell, solar and wind power production are often AWOL and so conventional power systems (coal, gas, nuclear) always need to be on standby, ready to deliver on a minute’s notice. To illustrate, the following chart depicts German electric power production and consumption over the 6-day period 14-19 July: conventional power (gray), solar production (yellow), wind (dark blue), hydro (light blue) and biomass (green). German consumption is shown by the red line. Readers immediately notice the huge fluctuations in solar and wind power outputs. At night there’s no sun and the wind appears only sporadically. The data from the above chart show, for example, that at 9 p.m. on July 16 total wind power output was a mere 0.334 gigawatts and the day’s last rays of sunlight were delivering only 0.103 gigawatts of power. That means the two sources of wind and solar combined were putting out only [(0.334 + 0.103)/65]100 = 0.7% of their rated capacity. That in turn means the remaining 99.3% had to come in large part from the conventional coal, nuclear and gas power plants. Germany’s installed wind/solar systems on average operate roughly at about 15% of their capacity. Moreover the chart shows that wind energy output was close to zero for a period of three days (July 16 – 19). Little wonder that wind and solar have yet to replace a single conventional coal power plant in Germany. No matter how much installed solar/wind capacity the country has, it still has to rely on conventional power on windless nights, which are frequent enough. The result is that the economics of wind/solar energy are just plain awful. To illustrate, imagine the costs involved in being forced to own two cars: an expensive one that runs on average only 1 random day a week, and a cheaper one that can run anytime. Whenever you want to drive, you are first required to drive the expensive/unreliable one. Only when it doesn’t start up are you allowed to drive the cheaper, always operable car. Obviously such a model of personal transportation (being forced to own, maintain, insure and repair two cars) would bankrupt most working-class households. Today’s green wind/solar energy make little economic sense. COMMENTARY ON ALGONQUIN POWER CO. The first public meeting to describe the proposal for a 75 MW wind energy generating system on Amherst Island, dated December 2011, put forward a single document to address the potential adverse health impacts, a pape by Knopper and Oilson (2011)Health effects and wind turbines: A review of the literature Other references have been added to the company website but no further document has been prepared in advance of the second public meetings to be held on March 5th and 6th, 2013. Drs. Knopper and Ollson have been retained as consultants by Algonquin Power Co.